This weekend, your television will probably be on, waiting for the kick-off and those famous commercials that even the non-fanatics look forward to watching every Super Bowl Sunday. 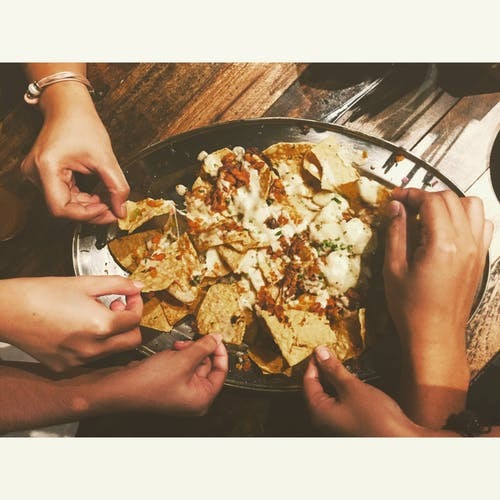 You and your fellow spectators will break out the nachos, the hot wings, and the craft beer to snack on while you root for your favorite team. In all of this excitement, the last thing that’s likely to be on your mind is how sustainable your party is! But there are plenty of ways you can plan a green event, and still ensure a great game day for you and your guests – no matter which team takes home the winning score. No matter what eats you decide to lay out on the table for everyone to nibble on during the game, there are always some local options to consider. If you want to put out a sustainable spread, hit up your neighborhood farmer’s markets and shops for the best variety you can find – extra points if it your items come in recyclable packaging! When you buy snacks and finger foods with this in mind, you’re actually helping to cut down on all the carbon emissions that would have been released into the atmosphere to transport those other selections over farther distances. It seems so simple to just pick up some Styrofoam plates and cups for your Super Bowl shindig, but sometimes those disposable options aren’t the eco-friendliest ones on the shelf. When you’re stocking up, make sure you check the packaging for indications that your choices are recyclable. Not only will it save you time cleaning up, but you’ll be doing the planet a huge favor! And there are two game day strategies to reducing your household’s waste; if you feel industrious enough to break out your cookware, we recommend using those same dishes for serving and storing wherever possible. Nothing says “touchdown” like not having to do the dishes right after the main event, right? If you don’t have some sort of system in place at home already, you’ll definitely want to set up a recycling station for everyone to use that day. Even if all of your dishes and utensils are eco-friendly, you can bet that if some of them will end up in the general trash can rather than your recycling if you don’t have a clearly identified receptacle. Before anyone shows up for pre-game festivities, we suggest putting one front-and-center in your kitchen. Or, if you have a great program near your home, you might as well line up your separate bins and make it easier to keep materials in their proper place before your next pick-up. Whether you’re a die-hard football fan or just in it for the fun, your game day party is perfect for reintegrating (or reinforcing) a solid recycling and sustainability plan in the home. For more tips to help you keep that momentum going throughout the year, stay tuned to Carolina Fibre’s blog. Or, follow us on Facebook and tell us all about how you make your environment a little greener each day!